A good education is the cornerstone of our civilization. Every child should have the opportunity to benefit from a public education. 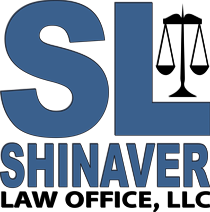 If you feel that your child's rights have been denied, Shinaver Law Office would be happy to discuss your concerns. Initial consultations for educational related issues for elementary, middle school, and high school students are free of charge. If your child has a disability that impacts their educational experience, your child's educator may be required to provide additional accommodations to ensure that he or she gets the full classroom experience. We will be your advocate to help ensure that your child gets the best education possible. While young students do not have the benefit of the full level of Constitutional protections that adults have, they do still have rights while at school. If you feel that your child's rights have been violated through the school's disciplinary process, we can help. Your children have legally protected rights that include the right to be free from discrimination. This includes discrimination based on race, national origin, gender, and other traits. If you feel that you or your child are being discriminated against, Shinaver Law Office is here to help. If your child has been denied their right to free speech or religious expression, or has been unwillingly made to participate in a religious event at school, their rights may have been violated. Every child should be afforded the opportunity to attend school and participate to the fullest extent. Contact our office to discuss your concerns. If you are a college student, or a student or program participant in any other advanced degree or certificate program, you may also have certain rights regarding your educational experience including the right to be free from unlawful discrimination and a right to certain procedural protections for disciplinary issues. We can help you better understand those rights, and represent you in the event that your rights have been violated. Give our office a call to schedule an appointment.